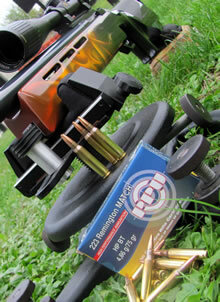 PPU Match Line ammunition is designed for accurate shooting in shorter and longer distances. In addition to the ammunition, PPU offers a wide range of Match bullets in the most popular calibers designed primarily for those who wish to make competition quality ammunition on their own. The exceptional accuracy of PPU Match ammunition is the special production procedures and control which make possible the manufacture of parts with very narrow tolerances. PPU Match components are made with materials of high quality and on special equipment. For loading ammunition we use reliable primers of uniform quality and carefully chosen powders so that they provide consistent ballistic characteristic. Rigorous final control ensures that our buyers get only the ammunition which completely fulfill their expectations. Copyright ©PPU 2013 All Rights Reserved.